Draw a diagram of the accident scene, including notes, and give this to your legal representative. 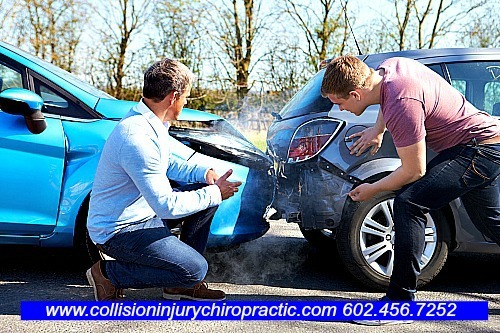 The auto accident chiropractors at www.collisioninjurychiropractic.com will provide you with experienced and knowledgeable Chiropractic management of your injuries. We also can refer you to over 30 Personal Injury Attorneys to provide you legal representation and will they aggressively seek the largest financial compensation possible. Call us now we will set set up legal consultation with one of the 30 plus attorneys we work with 602-456-7252.